Learn how you can profit from our expertise. To find consistent profitability, traders must continuously adapt. Luckily, investors can quickly adapt to changing market conditions through the use of exchange traded funds, or ETFs. Strategies that investors were unable to apply just a few years ago are now both accessible and profitable, as David Vomund illustrates in his two ETF books. He offers simple strategies based on relative strength rankings, along with the research and results of extensive backtesting. Vomund’s expertise in ETFs plays an important role in his money management decisions. He knows which ones represent good long-term investments and applies his systematic rotation strategy to the others. 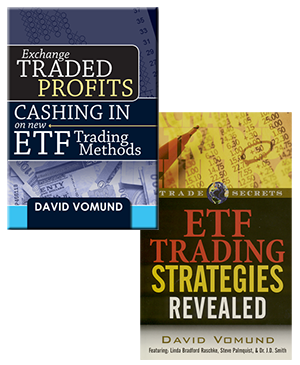 Vomund’s two books, ETF Trading Strategies Revealed and Exchange Traded Profits: Cashing in on new ETF trading methods, outline a series of mechanical rotation strategies designed for long-term growth. The models are simple, well tested, and effective. They are based on the assumption that in most market environments there is an area of leadership. David Vomund publishes a weekly subscription-based newsletter that lists the style index and sector ETF holdings based on the rotation model outlined in his trading books. The VIS Alert newsletter also features David’s market outlook along with stocks that he believes will outperform and underperform the market. Timer Digest gave VIS Alert its coveted “Timer of the Year” award in 2013. 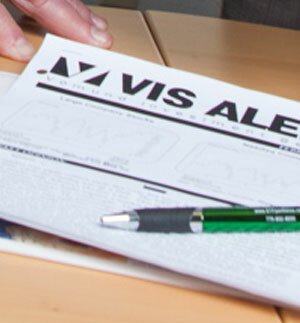 VIS Alert is timely as it is sent via email every weekend and there are frequent mid-week updates. Upon request, this newsletter is sent free to managed account clients, but non-clients can also subscribe.